Everyone has their own story and from one point of view or the other there is something interesting about it, wouldn't you agree with me? With the kind of get-up-and-go attitude that we are enclosed within, no matter how eventful or monotonous an individual's life is, there exists drama in it, something which is definitely not a comedy of errors, but a series of events that lead you from one place to another. So what does one do during this phantom existence? I recently read a book titled The Fragrance of Rose by debut author Chirajit Paul, who is a trained Chartered Accountant and an Enterprise Application Specialist by profession. 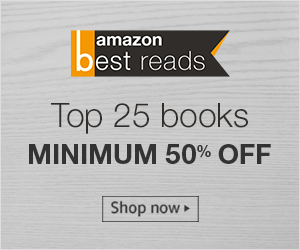 Chirajit's debut commercial novel is a fictional tale about the life of female protagonist Rinita Bose, who in the quest of finding friends, success, love and life goes through a series of event which partially make her and equally break her. The tagline of the book is Beauty - Dignity - Ambition, which kind of beautifully sums up the essence of the story. The story of the book, The Fragrance of Rose, is a cliche of events that a woman would go through in the society while being ambitious in terms of her career and especially love, but what isn't cliched about the story by Chirajit Paul is how these events happen to her and how she manages to escape, survive and overcome them from time to time, from people to people and from thought to thought. Rinita Bose, as a character is representative of many girls coming from an ordinary middle class with far fetched yet achievable ambitions and beauty of soul which represents on the outside too, but then it is the beauty that creates a problem for her and not her ambitions. But does Rinita manage to fulfill her ambitions or she gets trapped in her beauty? That's for us, the readers, to find out. Spoiler Alert: her ambition is love. One of the good things about the book, The Fragrance of Rose, are the characters of the book, be it Rinita Bose herself followed by Chaitali, Souvik, Priyanshu, Hemant, Shahid, Abhishek, Mahesh, Arindam and a few more who just don't exist to lengthen the book, but serve a purpose to the story and the various important and decisive twists and turns of Rinita's life. The characterization of Rinita is very strong, the transformation of Rinita to Rose may not be intriguing, but is written in a compelling way. Though it talks the problems and the wrongs that comes our way via Rinita, it also presents a way of looking at them as panicking and quitting is not always the solution. 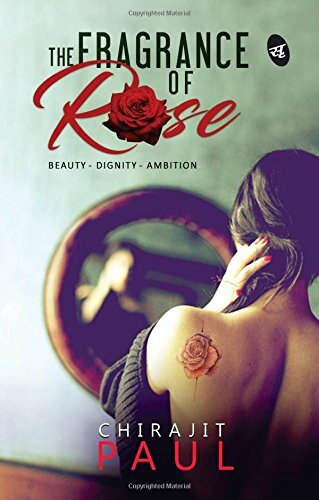 The Fragrance of Rose is divided in three parts wherein Rinita goes through different stages of her ambition and how they further shape her life. While Rinita is paving her way, she has to face the dark side of the corporate humans with zero emotions, she even falls for them and instead of sympathizing with the character, you may feel proud of the courage and comebacks that Rinita makes. The unexpected end, not of the story, but the thoughts of the characters that got associated with Rinita in her journey will restore your belief in love to some extent. I would recommend the 214 page book, The Fragrance of Rose, to anyone who is interested in reading fiction with fast past narration. This book contains write up about adult content and sequences, so readers discretion is advised.